Updated: UHS denies MDCAT paper leak rumours published on PakistanToday. The admin of the account gave an impression as if the paper was leaked before the test which is absolutely incorrect. The test concluded at 1200 noon that day whereas the questions were uploaded after more than four hours”, he added. As many as 65,155 students appeared yesterday in Punjab Medical and Dental Colleges Admission Test and guess what, only about 3600 students will be able to secure admission. What about the rest? Well, I don’t know. But I know many other things. First of all, the unjust that UHS did by setting a difficult paper for the majority of avg. students. Easy portion of Biology relaxed every student in the start; but when the pages were turned, the game turned. Who can expect an MCQ of 1-page length, well don’t worry, it was there right in the Chemistry portion, and more than 40 numerical oriented MCQs of Physics left everyone in chaos. 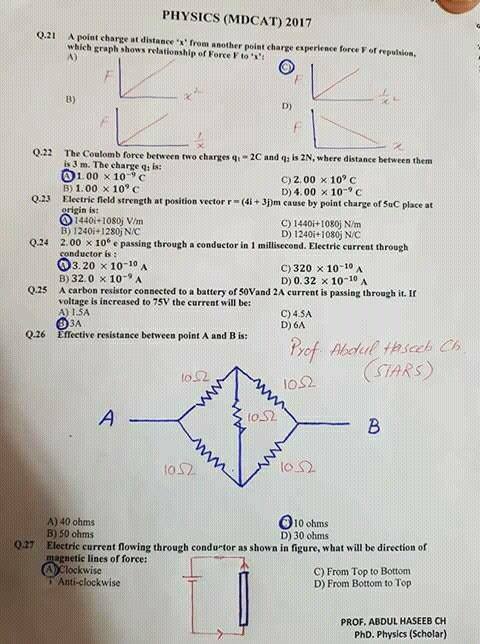 Some tricky MCQs of Chemistry and long statement MCQs of Physics were the reason of outburst of students on social media. And also it was updated on TopStudyWorld Facebook Page. 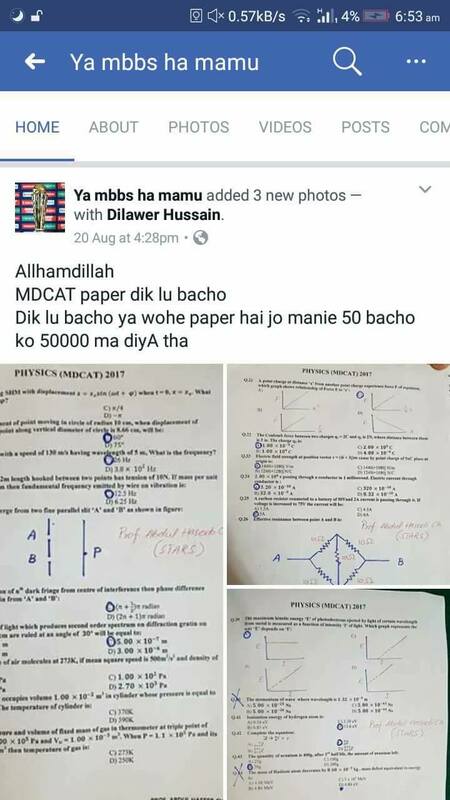 In addition to that, the stunts of Paper Mafia which became active in Test Seasons to leak the MDCAT 2017 Paper were condemnable. And then the admin of one Facebook Page said he sold the paper at Rs.50,000. What a shame! The squence is not according to the test, but the MCQs were the same as per MDCAT Entry Test. 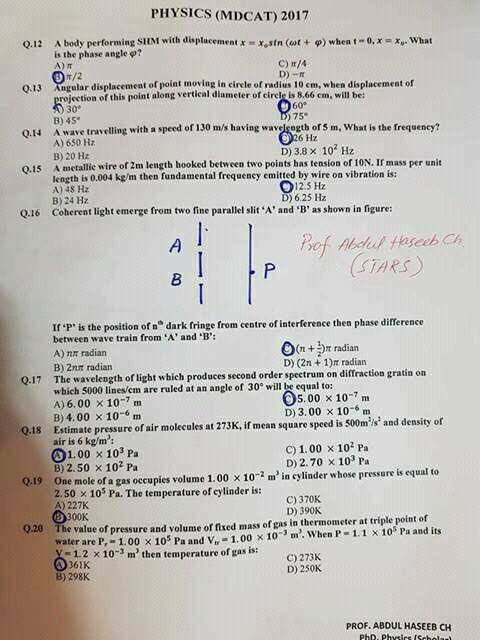 The name of the Professor is Abdul Haseeb Ch, a Ph.D Physics Scholar as it is written above. Again, we are saying, it's not confirmed officially, we will inform you accordingly. 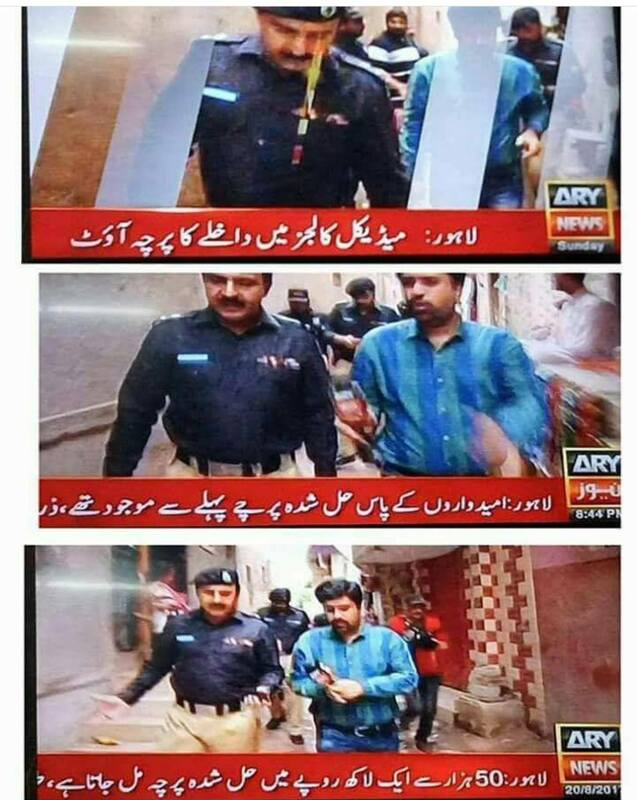 Such steps should be avoided and concerned authorities must take actions to eliminate this Mafia. Otherwise, the future of many students will be at stake. But unfortunately, we live in a country where the government has the least interest in Education: only 2 to 4% budget is spent on it. And no one is actually there to question UHS that why did they do this. Why did they play with student’s feelings? Just to low down the merit? In a week, UHS will upload the official merit list and candidates with an aggregate of more than 85% will be able to apply for 17 medical and 3 public sector dental colleges of Punjab. The previous year, the merit closed at 88.6% that made everyone cry who even got 88.5% was not able to get admission. If you're worried due to the bad result, I can understand your situations. You need someone to whom you can express your feelings, and perceive what exists right now in your heart. I would recommend you to watch this video, I guarantee you, it will motivate you to your goal and eradicate your fears. TopStudyWorld shares this article just for information and educational purpose.We, TopStudyWorld, do not intend to share this material as a campaign against UHS. We, TopStudyWorld disclaims the content which was posted on a social media website regarding the paper leak.We purely intend to motivate students. 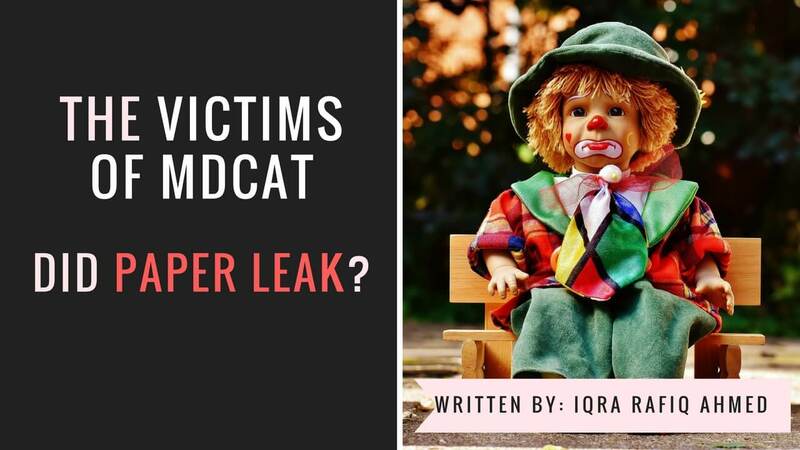 Iqra Rafiq writes about MDCAT paper leak, her experience about the Entry Test and the ways to eradicate the tension.